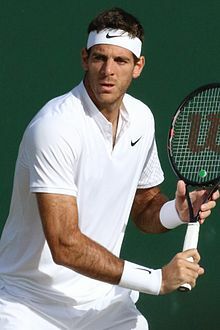 Juan Martín del Potro (born 23 September 1988) is an Argentine tennis player. He was born in Tandil. He turned pro in 2005. He won the US Open in 2009. ↑ "ATP Prize Money Leaders" (PDF). This page was last changed on 17 April 2019, at 16:49.